Last weekend we went for a long punt in Cambridge; we glided on the glinting River Cam in a flat-bottomed boat, a punt, pushing ourselves with a pole, drifting lazily past ancient sandstone colleges and perfect lawns which spilled in to the riverbank. The University of Cambridge is my alma mater so we popped in to a shop on King’s Parade, to look at official merchandise for alumni. 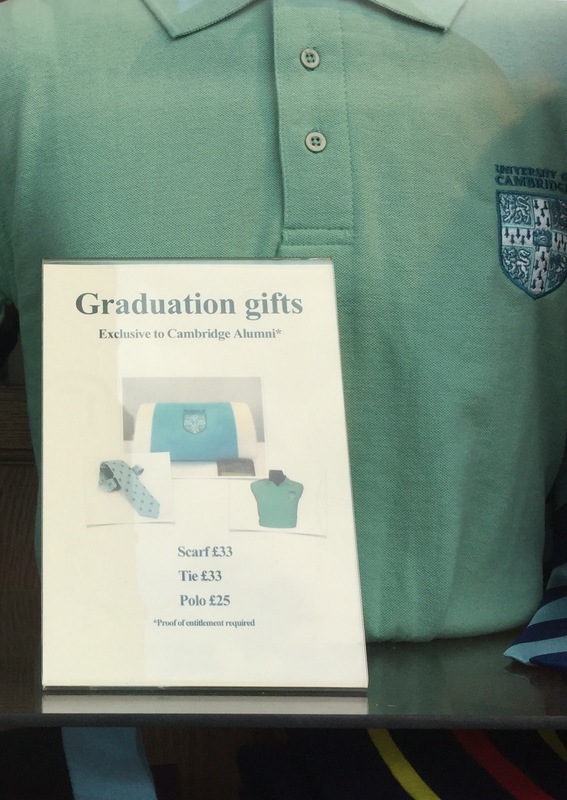 As a general rule, Cambridge University students and its alumni tend to plumb for the merchandise of their own college (there are 31 autonomous colleges) rather than the university. The college organises the one-to-one teaching (called supervisions) and is the heart of of a student’s social life and allegiance; because of this, people wearing clothing emblazoned ‘Cambridge University’ are more than likely to be tourists rather than students. I searched for the burgundy and grey of my college, Fitzwilliam, and checked out the scarves, ties and polo shirts and then, for the blue merchandise of the university but I left undecided. This discussion was at risk of getting stuck in a loop. The blue/ green debate had kicked off. We walked though the market square and back to the university clothiers on King’s Parade and analysed the polo shirt at close quarters. “It doesn’t matter what it’s called. It LOOKS green so – it IS green,” she added. 1) Could different people see the same object in different colours? Like that dress on the internet where some people saw gold and white and others saw blue? 2) Could it be our age difference? Younger people are more receptive to certain frequencies than older people and colours are simply light reflected at differing wavelengths. Take for example the ‘mosquito alarm’ that played a high frequency that only young people could hear and get annoyed by. (It was initially intended to deter youths from loitering around in the street – but some children rather cleverly saved the sound to their mobile phones and used it in their classrooms, to communicate with each other without the teacher knowing. Those clever Millenials). 3) Or was it perhaps gender difference? Women are better at discriminating amongst colour and men are less proficient at distinguishing central spectrum colours like blues, greens and yellows. Men like me have three types of blue: “blue” blue, light blue or dark blue . In contrast my wife has azure blue, cerulean blue, cobalt blue, sky blue, navy blue, lapis lazuli, sapphire, aqua, turquoise, midnight blue, Oxford blue, and so forth. And let’s not even get on to the reds or yellows. 4) Finally and perhaps most credibly, it was a ‘fact’ that I’d never questioned, something researchers call ‘anchor fact bias’. Over my three years as a Cambridge University undergraduate we were taught to question everything, to be curious and not to blindly accept facts. The blue of our university was perhaps an oversight. Cambridge is a very sporty university, and colleges field teams in all sorts of sports from rowing (most colleges have three boats for both men’s and women’s crews) to rugby, cricket and tennis; lesser known sports like fives and real tennis ( which isn’t at all like real tennis) are even represented and encouraged. My anchor fact was that the Cambridge University sports teams are called the “light blues”. Not only that, but students who represent the university in certain sports against arch rivals, the University of Oxford, get awarded a “blue” entitling them to wear a blue jacket and purchase “blues” merchandise. It is a highly revered accolade. With so many ‘blues’ abounding, the colour, the award of a ‘blue’, the blues jacket, the ‘light blues’ rugby at Twickenham and the rowing boat on the Thames between Putney and Mortlake every year meant that I had never, until this weekend, ever questioned the anchor fact of the undisputed colour of Cambridge University (as sure as grass is green and carrots are orange): Blue. In the bright light of a sunny July day, as we stared in to that shop window, it did look a little … erm… light-greenish to be honest. Over coffee I researched it and found out that how Cambridge got its ‘blue’ is a topic of much opinion and controversy. We have to go back to 1829, when the university was already over 600 years old, at the first Oxford versus Cambridge boat race; Oxford wore the colours of Christ Church (which isn’t a church at all but a rather exclusive college) whose colours are dark blue. Cambridge’s boat race colours at the time were not even blue; their rowers wore white linen shirts, with their pink ties worn as a sash. Had things not progressed colour-wise, Cambridge’s colours would have been pink, and would have awarded ‘pinks’ not ‘blues’ for sporting excellence; our rugby team would today be known as the ‘light pinks’. Seven years later, at the next boat race, Cambridge put a light blue ribbon on the front of their boat; some say because it was the colour of Eton, one of the UK’s most exclusive private schools (which in the UK are called, confusingly, public schools); others maintain it was the blue of Caius College, three of whose students were in the boat that year. Rarely in history has the colour blue caused divergent opinions but what was not disputed was that up until the 20 century, Cambridge blue was actually blue. It was a Cambridge rowing coach called Alf Twinn who is generally credited with the subtle palette change from blue to a green; he started adding yellow in the blue paint for the blades on the oars of the university rowing boat, as his colour vision started to worsen after a 50 year career. 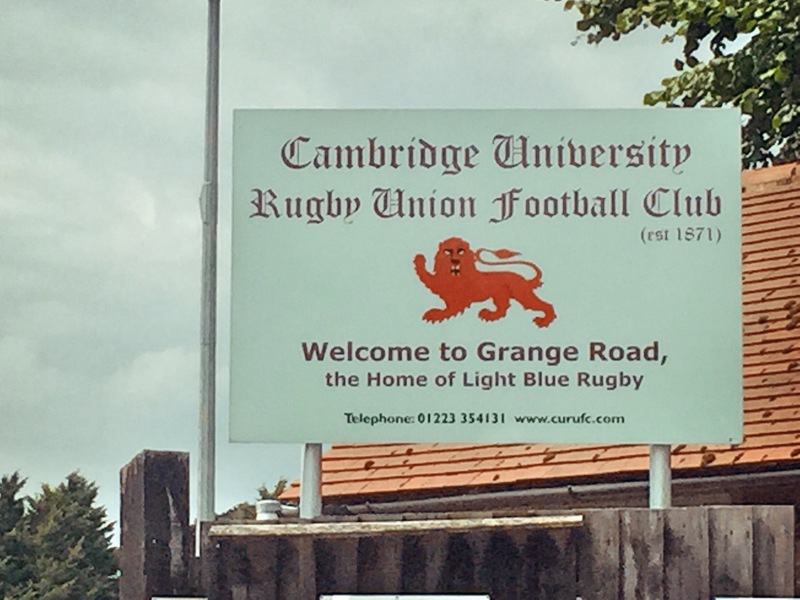 Others say that he wanted the Cambridge University Boat Club to be distinguished from the colours of the Cambridge University Rugby Union Club. In the world of print and design, all colours have a Pantone reference, which are made from different values of cyan, magenta and yellow, or for the uninitiated, the three primary colours, learned the messy way in kindergarten. Cambridge’s blue is cyan 45, magenta 13 and … here’s the big reveal, drum roll please … a yellow value of 39… giving the blue, a distinctively greenish hue. Cambridge blue is a consummate red herring. Organisations can actually trademark a colour; Christian Louboutin’s famous red outer sole; Cadbury’s purple; the brown of UPS; even the yellow of Post-it notes are protected by trademarks – and so it is with Cambridge University’s ‘blue’. What started off with a small dash of yellow paint for oars in an act of unbridled individualism ended up as the official university colour. Clearly my wife had bragging rights on the drive home and she knew it; she’d say “green!” out of the blue every so often, as a reminder.